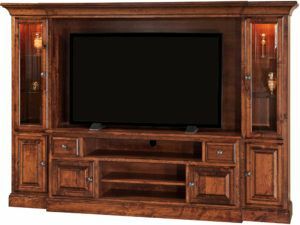 As the largest, most commanding item of furniture in your living room or den, your home entertainment center needs to do far more than accommodate your big-screen TV and other electronics. 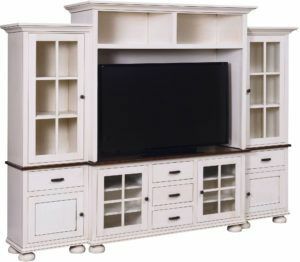 It needs to be sturdy enough to withstand the punishment of constant use. 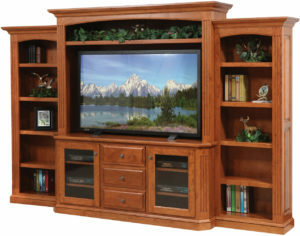 Yet, you want a unit so beautiful it ramps up the visual appeal of your home. 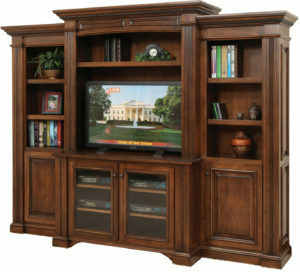 And having all the features you need for your electronics and media storage. 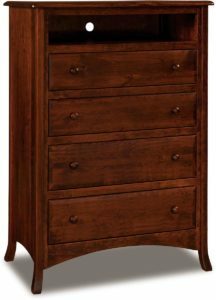 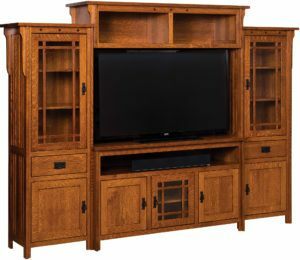 Amish entertainment centers from Weaver Furniture Sales fulfill these requirements – and more! 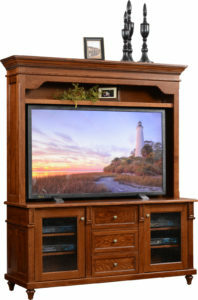 Because skilled Amish artisan custom-craft each unit from solid hardwoods. 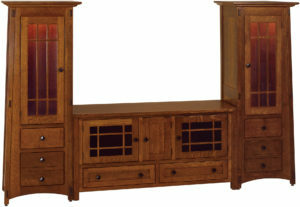 Also, they create units in a vast array of styles and designs. 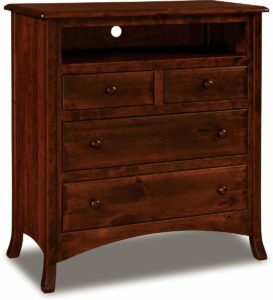 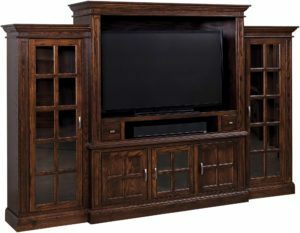 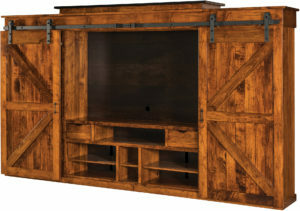 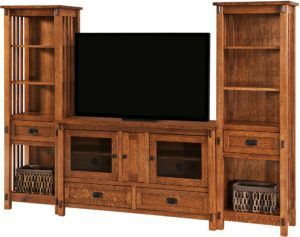 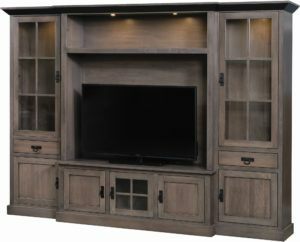 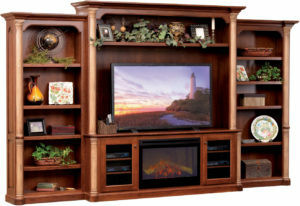 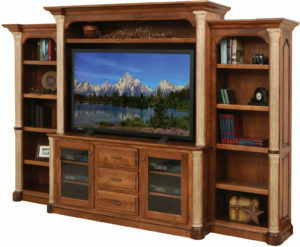 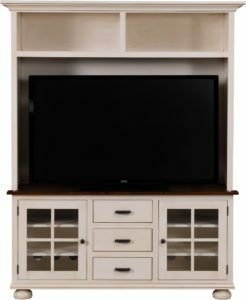 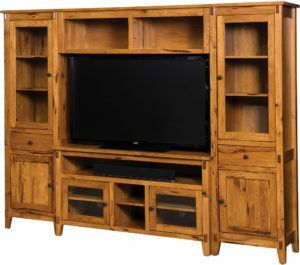 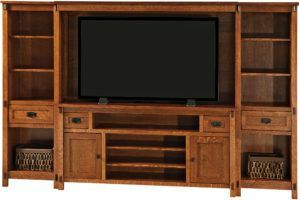 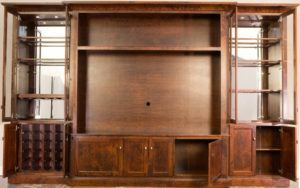 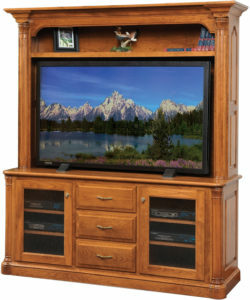 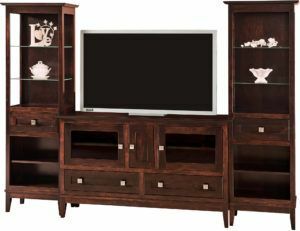 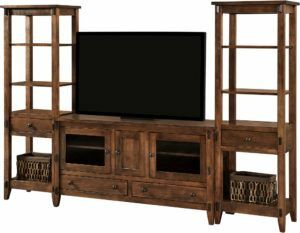 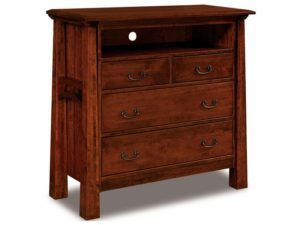 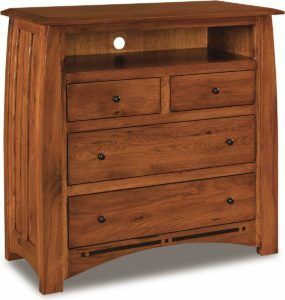 So browse our large online collection of solid wood entertainment centers. 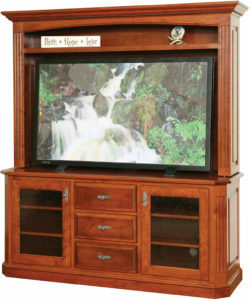 Or visit our ‘brick and mortar’ store in Shipshewana, Indiana. 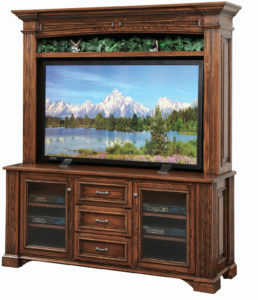 And see them up close and personal. 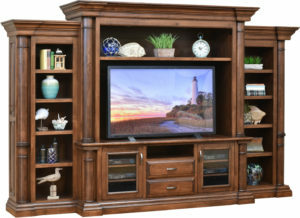 At Weaver Furniture Sales, we’re delighted to offer an impressive array of home entertainment center furniture. 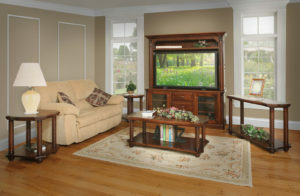 Our offerings include traditional and modern styles. 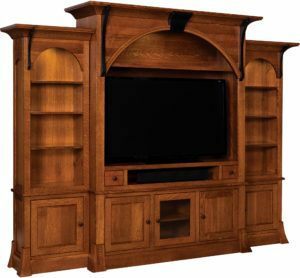 Also, our builders create everything from full-featured wall unit entertainment centers with features like a fireplace and bookcase. 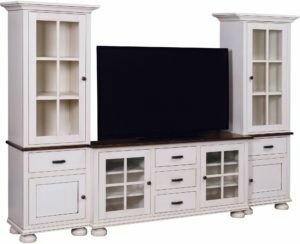 What’s more, you can get tower units, corner entertainment centers and smaller media chests. 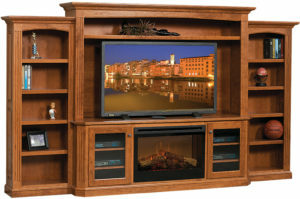 In addition, you can order the solid wood entertainment center of our choice as shown. 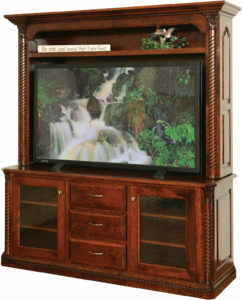 Or we can customize it to your requirements. 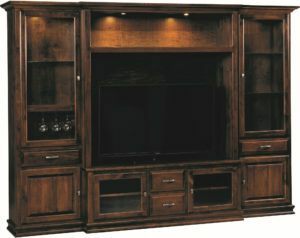 And you get to choose features like the wood specie, hardware, finish, plus a whole range of special options.